After a few weeks working out in the back yard and listening to all three of the CD’s that came from some Lynyrd Skynyrd [3 CD Box Set] that I bought many years ago over and over, one song that I had forgot about was Comin’ Home off of the posthumous album Skynyrd’s First and… Last that was release one year after the tragic plane crash that killed band members Ronnie Van Zant, Steve Gaines and Steve’s sister Cassie Gaines along with assistant road manager Dean Kilpatrick and both pilots. 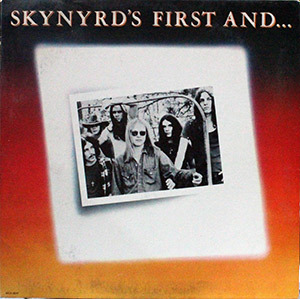 Skynyrd’s First and… Last for those that might not know about it was the album that had many songs on it that the band had recorded back in 1971 and 1972 but never had put down on vinyl since it was all dumped before their first record (pronounced ‘Lĕh-‘nérd ‘Skin-‘nérd) was released in July 1973. Many of the tunes on Skynyrd’s First and… Last gives us a glimpse of things to come from the band. Songs like “Down South Jukin”, “Preachers Daughter”, “Was I Right or Wrong” and “Things Going On” in it’s original state show us that even early on Ronnie Van Zant had the ability to write lyrics for Southern Rock that couldn’t be beat by any other Southern artist. For that matter he was showing people why he would become one of the best song writers for a whole generation. The rest of the band was giving us a taste of what would become known as “one of the greatest live bands of the 70’s” in their early state. They knew what the words Rock and Roll meant and you can hear how tight they had become in just a few years. “Comin’ Home” seems different to me then most other Skynyrd tunes by them but at the same time there is no mistaking it for being Lynyrd Skynyrd. 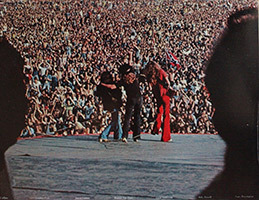 Hard not to with Van Zant’s voice and the screeching guitar sounds of Gary Rossington, Allen Collins and Ed King. You would think that the tune was written at the end of the original bands run not at the beginning with it being about live of the road and wanting to be Comin’ Home. Thank You to Ronnie Van Zant, Gary Rossington, Allen Collins, Ed King, Billy Powell, Leon Wilkeson and Bob Burns for recording this 5 minute 30 second special treat for us. This entry was posted in Classic Rock, Comin' Home, First and... Last, Forgotten Rock Classics, Forgotten Songs, Lynyrd Skynyrd, Music, Southern Rock and tagged Classic Rock, Comin' Home, CS5711, First and... Last, Forgotten Rock Classics, Forgotten Songs, Lynyrd Skynyrd, Music, Record, Rock Music, Ronnie Van Zant, Song. Bookmark the permalink. It is beautiful. I hadn’t heard it before. Are there any live versions with RvZ singing rather than Johnny? There seemed to be one on YouTube but it is no longer available. With “Coming Home” never being released while Ronnie was a live finding a live version with him singing might be hard to find. I’ll dig further into other options and see if there is one out there. It sure would be great to see a live version with Ronnie seeing that’s for sure. Thank you. I didn’t really know much about the band beyond the usual Tuesday’s Gone, Free Bird and Sweet Home Alabama but have been listening to The Muscle Shoals album, Give Me Back My Bullets and Second Helping a lot. Not all of it is my cup of tea but melodic songs li and Every Mother’s Son and Roll Gypsy Roll are lovely. I had no luck finding any video. I’m glad you are listening to more of the back catalog stuff that Ronnie and the group did. To me a lot of the back catalog stuff is better then what you here on the radio. My all time favorite is “Ballad of Curtis Low” I drive the family nuts singing it at random times, at random places. Thank you for looking. I am not particularly taken by the post RvZ incarnation but definitely liking the original line-up. Btw I take it Roxie is the cat in the photograph not a person ? Dennis, I hadn’t hear Comin’ Home in years. Nice memories associated with that band and their marvelous sound. I heard them in concert twice, but can’t remember exactly where. It will come to me eventually. Roxie mentioned you in her last post. You never should have posted that photo of her. Now she wants me to put her on the header of my blog and change the title to Around Roxie’s Pad. Not happening! I saw them back in 76 or 77 in Colorado with many other Southern bands.I can still remember where I was and what I was doing the day I heard about the plane crash. Glad I was able to see them since that was the last time I would have had a chance. Looks like Roxie is starting a power trip with you? Starting????? But we did have some quiet moments last night when I was playing some Lynyrd Skynyrd’s tunes. She thinks Alabama sounds like a fine place to live. Have a great Monday, Dennis. One of my favourite Skynyrd tunes this one! Definitely one of there best. Rates only behind “Working for MCA” for me. But MCA must have a high volume level or it just doesn’t sound as good.